The long list below shows most of the surnames (and patronymic names) that appear at least two times in CRARG’s projects that include Kamieńsk, which is one of our core towns. The number indicates how many times the name appears. Records for persons from this town can also appear in projects for other towns, especially in marriage records and records for non-permanent residents. 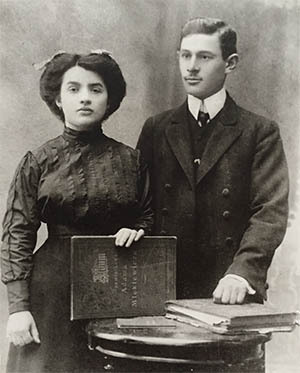 The Jewish population of Kamieńsk was 781 in 1897 and had grown to 856 by 1921, which was 42% of the total population. The Jewish population shrunk slightly, to 834, in 1939. In the early days of World War II, 90% of the Jewish houses of Kamieńsk were destroyed by fires caused by air raids, and therefore many Jews moved to the nearby towns of Gorzkowice and Gomunice. The Germans established a Jewish Ghetto in the town in Feb. 1942. The ghetto was liquidated in Oct. 1942 and its approximately 500 prisoner-residents were deported to the Treblinka death camp. For Kamieńsk (and nearby towns), some data will be in our Holocaust records, but the vast majority will be in our pre-Holocaust records.